Afternoon learning fun and split pants. We have the benefit of two worlds…homeschooling and an international school. In the mornings you will find us huddled around our coffee table learning together, but by noon the three big kids are packed up and heading out the door to the international school. 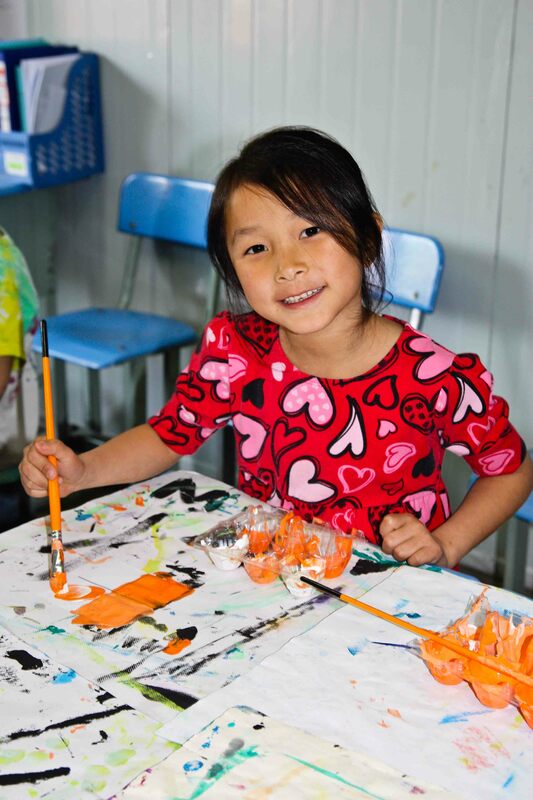 There they have Chinese classes and specials (art, music, PE, and library) plus some invaluable time with others kids who live in a culture that is not their own. They have made some great friendships and their Chinese, including reading and writing, has improved dramatically over the year. 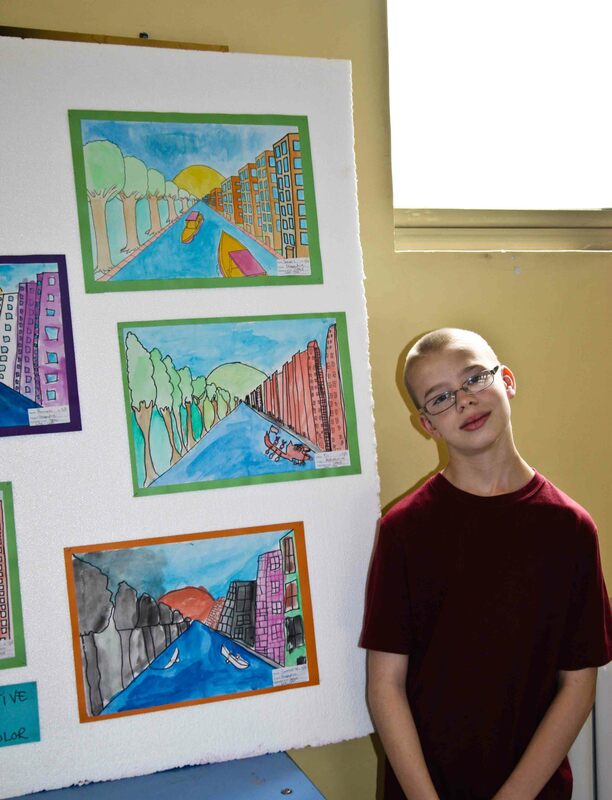 This past week the school hosted an art fair. It was a great time for all….well except for Little Man. Oh, that is a story in itself!! I will get back to that. Each of the big kids had projects in the fair and I loved taking it all in. Got a few ideas for my classes too! Their art teacher is amazing. So appreciate her hard work! The highlight of the afternoon was Roo winning the award for best project of the 4th grade. 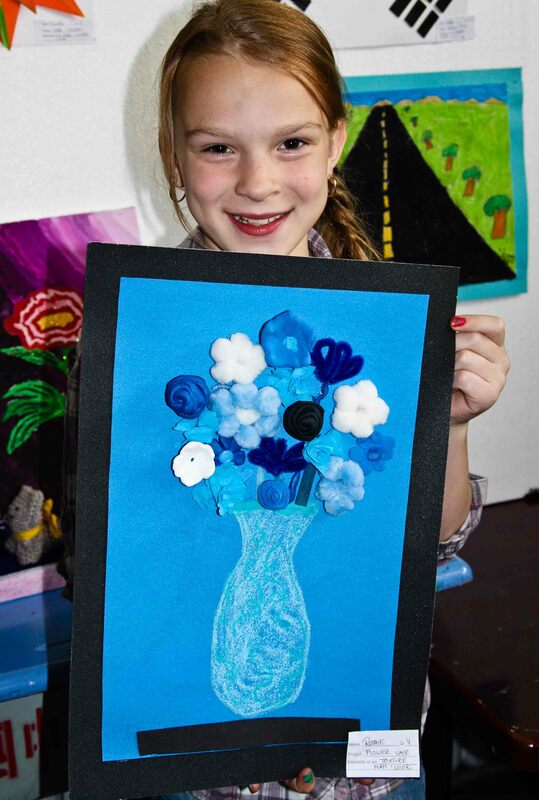 She came up with this monochromatic masterpiece on her own using many different materials to show texture. When she first showed me her piece, I again was amazed by her natural talent. What a blessing to have our little artist encouraged by winning. So proud of her. While big sister was shining, Little Man was trying to hide. Let’s start the story by saying that he has become Mr. Independent of late. When he headed to the restroom on his own the thought ran through my head that it could be disastrous. I should always listen to that still small mommy warning voice in my head! He didn’t aim well. He got wet. Really wet. So in the middle of the art show I was scrambling to find him a change of pants. I found a gracious Chinese mom who was willing to loan us her son’s extra set of clothes. I was so relieved until I noticed that they were traditional Chinese split pants. Split pants are exactly what they sound like. There is a split in the middle….for easy aiming, I might add, so that you don’t have wet clothes with young ones. No pull-ups around here, young kids walk around with it all hanging out of the split. So poor little man had to be wet or exposed. Hard choice. He really hates being wet. The rest of the afternoon he spent wrapped up in my sweater trying to hide that cute little booty. For many reasons, it was an afternoon we won’t forget! Tammy, I love, love, love your posts and this one had me literally laughing out loud! Your kids are awesome!